Meet Tibet’s Youngest Blogger, 8 Year Old Tenzin Thinlay! One of the great things about my summer stay here in Dharamsala has been meeting and spending time with the array of bright, talented Tibetans in this small small town. Last Sunday I was happy to be part of a TibetWrites event launching writer Bhuchung D. Sonam’s new book “Yak Horns.” I was invited to moderate the event which included a discussion about writing and live poetry readings by Tenzin Tsundue, Tsering Wangmo Dhompa and Tenzin Dickyi. 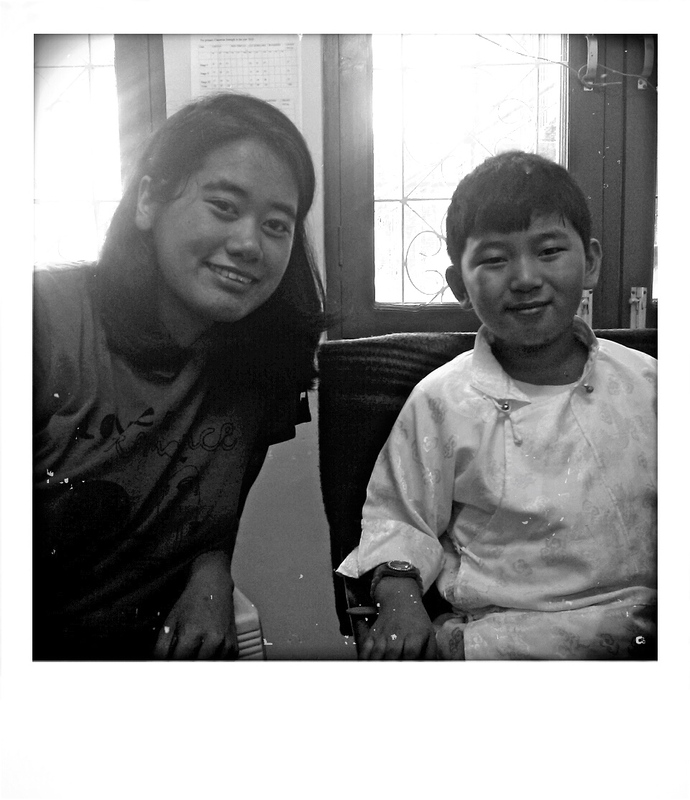 And then yesterday I had the honour and privilege of meeting Tibet’s youngest blogger, 8 year old Tenzin Thinlay! Thinlay started writing a wonderful blog called Tibetan Sky earlier this year and he’s already been featured on Voice of America’s Cyber Tibet programme talking about it. He’s well on his way to going viral! Thinlay’s blog is a place where he writes about his family, school, friends and interests. He also blogs stories and his poems – everything in Tibetan! The story of how he named his blog is very interesting and creative, his name Thinlay འཕྲིན་ལས་ sounds like Thinlam སྤྲིན་ལམ་ which translated literally would be a path for clouds – the sky! So his blog is Tibetan Sky. My name is Tenzin Thinlay. How did you get the idea to start a blog? It was when my Pala was away working in France and I would write to him every day. Pala asked me if I wanted to keep a blog instead so I asked him to set one up for me. Do you like writing in Tibetan, is it difficult to blog in Tibetan? I asked my Amala to show me how to type in Tibetan and I learned it in one day! What kind of things do you write about in your blog mostly? My blog is like a diary and I introduce things I like in it and blog things I have written for school. I also take photos myself and upload them onto the blog. My friends and family members read it. My Pala also sent the link to some of his friends and they visit it too. Do you think you’ll write your blog in English in the future? Hmm, I don’t know about that yet. Do you know what you want to do in the future? I want to become a scientist. Do you write your blog every day? Not every day, I write when I have time but lately I’ve had exams. I notice you post your poems on your blog. Yes I write poems when I don’t have a lot of time because they are short. My Pala puts my posts on Facebook and Twitter. I don’t, I used to have one but I had a problem with the password and I can’t access it anymore, they told me my password had changed even though it hadn’t – I don’t know what happened! Do any of your friends have blogs? You’re so young, 8 years old, I think you might be Tibet’s youngest blogger, that’s what I’m going to write! A big thank you to Mati for introducing me to the new generation of Tibetan bloggers! Also thank you to the staff and kids at Gangkyi’s Sambhota Model School who were very accommodating and welcoming! I’m excited to announce that a short story by Woeser la that I translated into English has been published by the University of Hawai’i in their literary journal MANOA, edited by Frank Stewart and Fiona Sze-Lorrain. The short story by Woeser la which I translated is one she wrote in April 2004 and is titled “Rinchen, the Sky-Burial Master”, the original title in Chinese is 《带我去天葬场的仁青》. Obviously I can’t give too much away as you have to get MANOA to read the story but it’s a good one! My first encounter with MANOA was back in 2000 or 2001 when I saw their issue “Song of the Snow Lion: New Writing from Tibet”, a fantastic anthology. 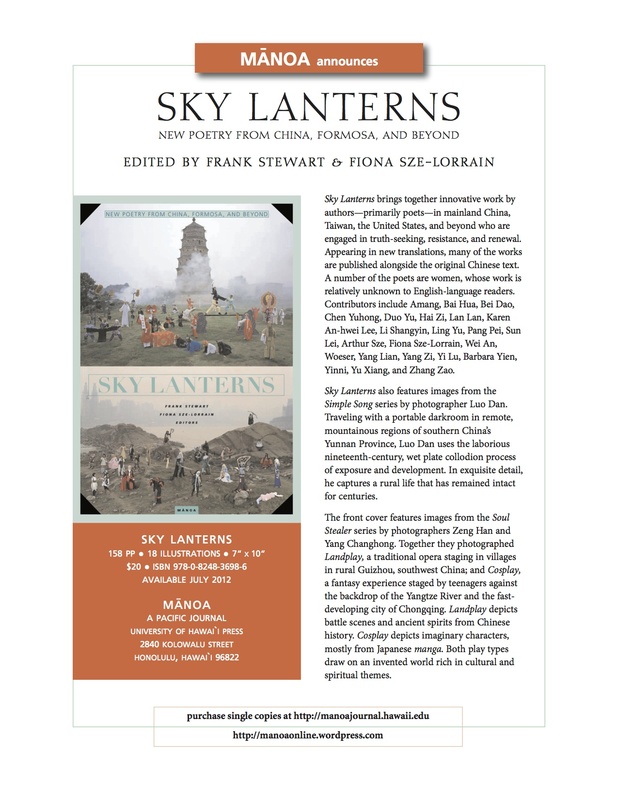 So I’m very grateful to Fiona Sze-Lorrain for giving me this opportunity to contribute in a small way, and of course to Woeser la for her writings!